FIRST LADY SPEAKS OUT! WOMEN SHOULD STOP DEMANDING QUOTAS. 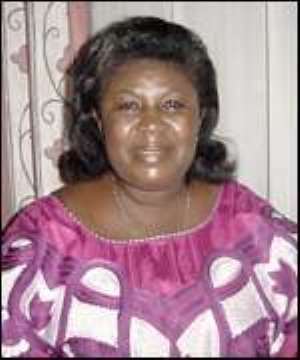 Mrs. Theresa Kufuor, First Lady, has granted her first interview on political issues, since her husband took over the mantle of leadership on January 7, 2001 to the paper. Touching on wide–ranging issues, Mrs. Kufuor asked women to shy away from asking for quotas and compete with men on equal footing during electioneering campaigns for political office. “We are capable, why should we ask for quotas”, Mrs. Kufuor queried. The First Lady who is the Chief Patron of the Mother and child Community Development Foundation, an NGO, said women should be prepared to go out there on the platform not only on party tickets but also as independent candidates with full support from each other and the general electorate. She noted that Ghanaian women are hardworking and good managers and, therefore, should not shy away form mainstream politics.